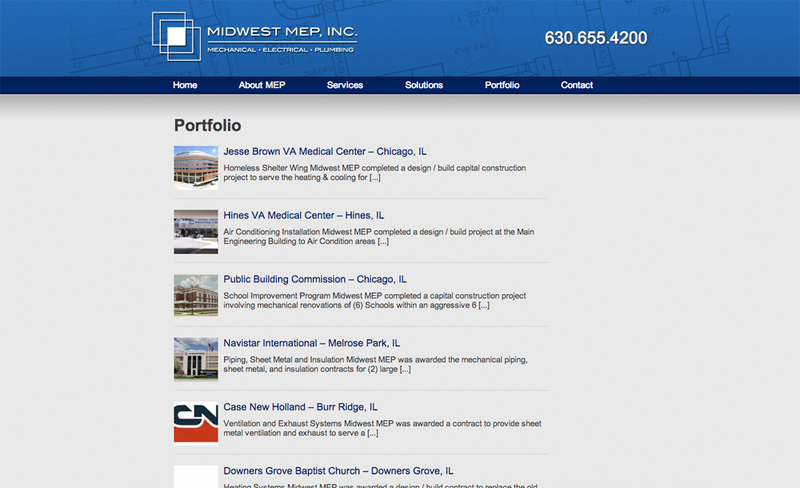 Midwest MEP hired our dream team of web developers to create a high-impact, search engine friendly site to build their brand. We started by learning more about their target audience and mapping out an easy to navigate page structure. The design reinforces their brand colors while incorporating a blueprint in the background. In addition, we created content and obtained relevant clipart to their industry while the client provided bios and project details for the portfolio. – The high impact slideshow featured on the home page provides a visually pleasing landing page for visitors. – News feed on the home page to keep cycle new content for search engines. – High impact imagery to show off their work. – Keyword optimized pages for services they perform. – A portfolio featuring impressive projects the client has completed. 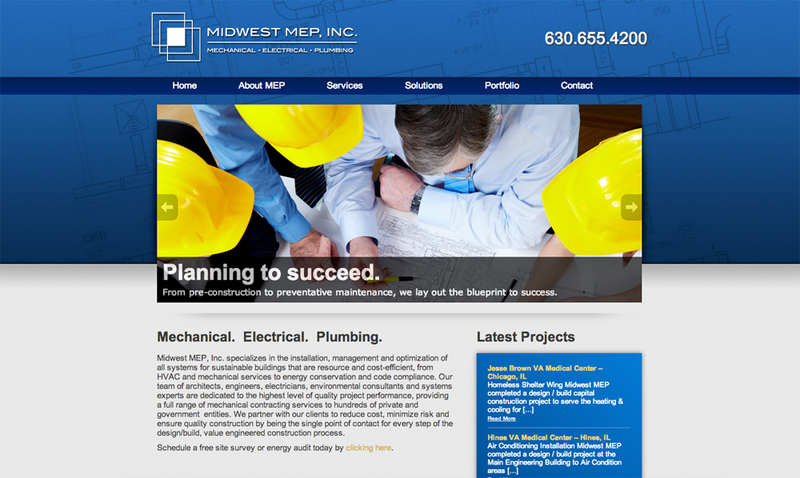 The Midwest website design is just one example of our highly effective sites built in WordPress. While we work to further improve the aesthetically pleasing qualities of Midwest MEP’s website, we are also installing a tool to measure search engine “likability” to enhance their visibility in search results. 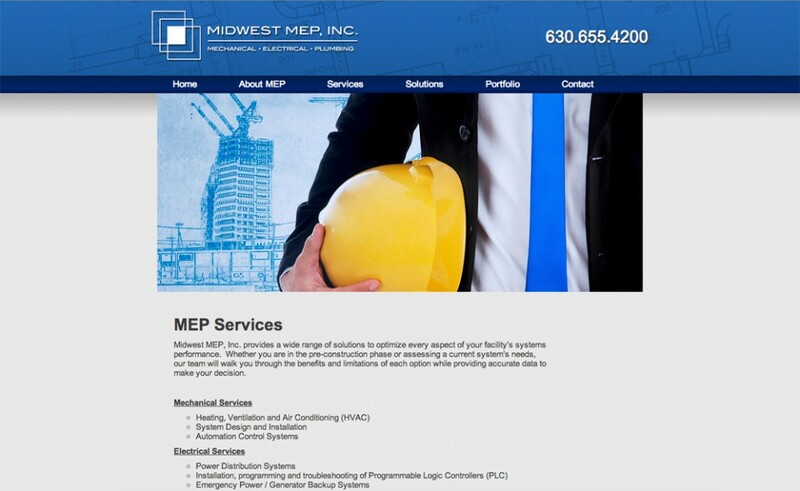 By maintaining and updating the site on a regular basis, Midwest MEP is sure to see their website placing on the first page of local search results in no time! For more information on our website design services, contact us today.